Time to move Charlie to O’Connell Street. | Come Here To Me! Time to move Charlie to O’Connell Street. It’s often forgotten that the late and very great Charlie Chaplin has a statue in this country, located in Kerry, where he spent happy times as a visitor. Scrawled in a rage by Dublin’s poor. One of the giants of Irish history, Larkin stands proudly and defiantly on the very street where workers he organised were hospitalised and even killed on a Bloody Sunday. “Who is missing a statue here?” I always ask. The answer is Charlie. It was through Emmet O’Connor’s wonderful biography of Larkin I first stumbled across a most unusual episode in Larkin’s life, which occurred when he was imprisoned in the United States. Larkin had found himself imprisoned for “criminal anarchy”, essentially a sentence placed upon him as a result of his radical politics. While sentenced to five to ten years, Larkin found himself in Sing-Sing Prison. 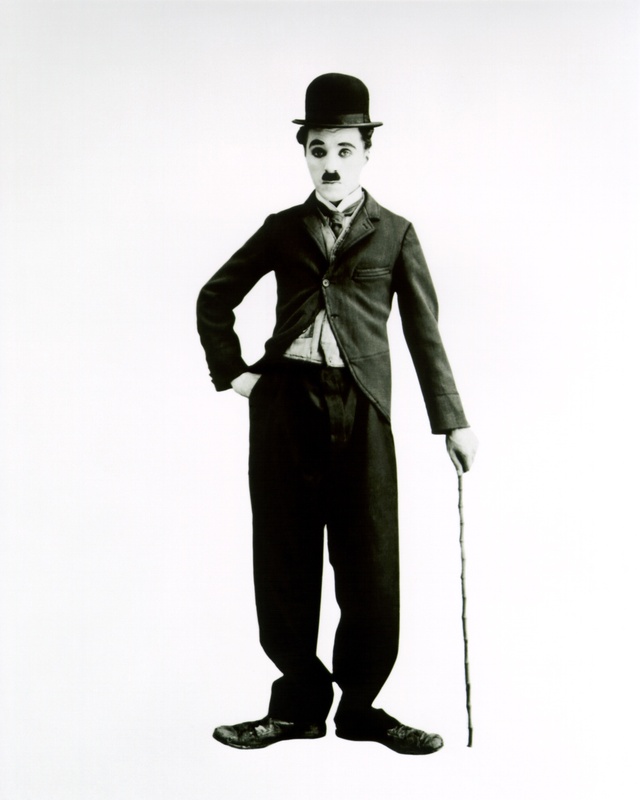 Among his more unusual visitors was Charlie Chaplin. The last day in New York, I visited Sing-Sing with Frank Harris. 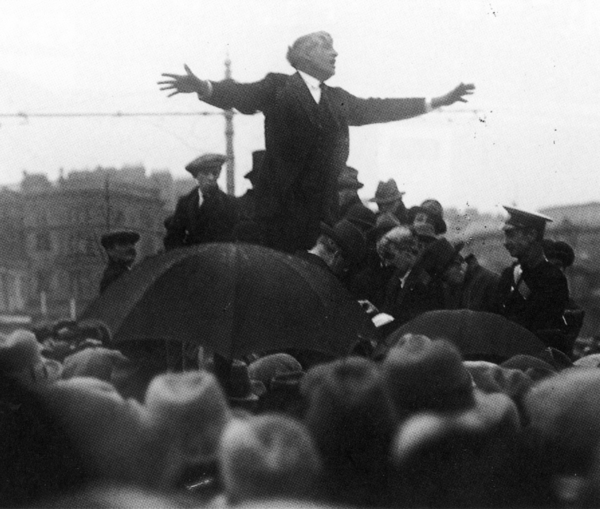 Jim Larkin, the Irish rebel and labour union organiser, was serving five years in Sing-Sing, and Frank wanted to see him. Larkin was a brilliant orator who had been sentenced by a prejudiced judge and jury on false charges of attempting to overthrow the Government, so Frank claimed, and this was proved later when Governor Al Smith quashed the sentence, though Larkin had already served years of it. Frank inquired about Jim Larkin and the warder agreed that we could see him; although it was against the rules, he would make an exception. Larkin was in the shoe factory, and here he greeted us, a tall handsome man, about six foot four, with piercing blue eyes but a gentle smile. It was noted in O’Connor’s biography that Chaplin felt compelled to send presents to Elizabeth (the wife of the union leader) and the Larkin children after this visit. Other highlights of this tour included meeting Irish radical Jim Larkin and sitting in the electric chair for a few moments. Charlie visited this prison again shortly before his 1931-2 tour, presenting his new film, City Lights, free for the prisoners’ entertainment. Something to think about this May Day. Larkin upon his return from America. Was that Frank Harris who wrote his own biography from memory titled “My Life and Loves”?